Bob brings more than 25 years of experience in the financial services industry to the clients he partners with. He joined Adviser Investments in 2017 upon the acquisition of Braver Wealth Management. 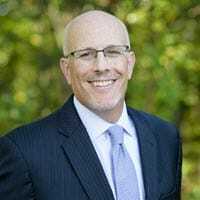 Prior to joining Braver, he was vice president and regional planning consultant with Fidelity Investments, working closely with high-net-worth clients. He has extensive experience in retirement income planning, risk-controlled portfolio design and charitable giving strategies. In 2019, Bob was honored in Boston magazine as a Five Star Wealth Manager for the fifth time, and his expertise has featured in The Boston Globe and Financial Advisor magazine as well as on The Wall Street Journal. Bob has also hosted an online finance forum on Boston.com. He earned a B.A. from Brandeis University and is a CERTIFIED FINANCIAL PLANNER™ practitioner, a Chartered Financial Consultant (ChFC®) and a Chartered Life Underwriter (CLU®). He is a NAPFA-Registered Financial Advisor and is also a member of the Financial Planning Association. Bob has two adult children and resides in Brookline, MA with his wife Johanna.